If pictures say a 1,000 words, then just how much does this video say? This professional video shows just how little stability the small block walls have with installations of this height. 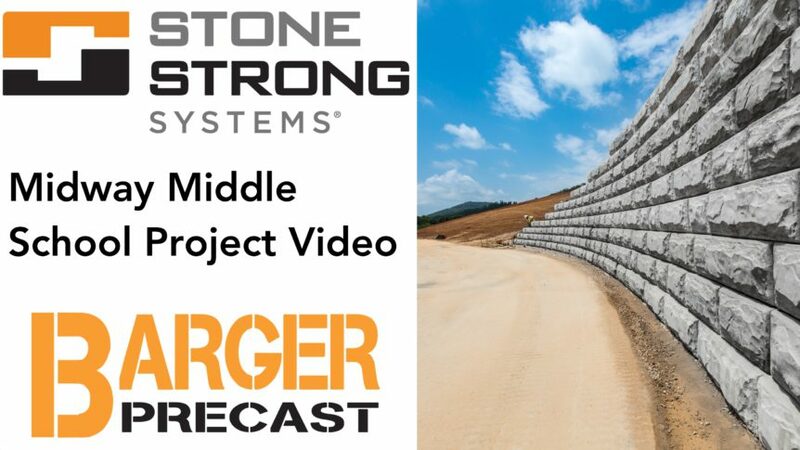 Stone Strong was chosen to replace this failed wall because of its mass, stability, appearance and overall performance. All those aspects coupled with how easily these blocks are installed sure make for an easy decision for large retaining wall designers and installers. Placing upwards of 24 square feet in one block equates to an entire skid of the small block product in one swing of the excavator. It’s just that easy. Think “Lego” for grown-ups!